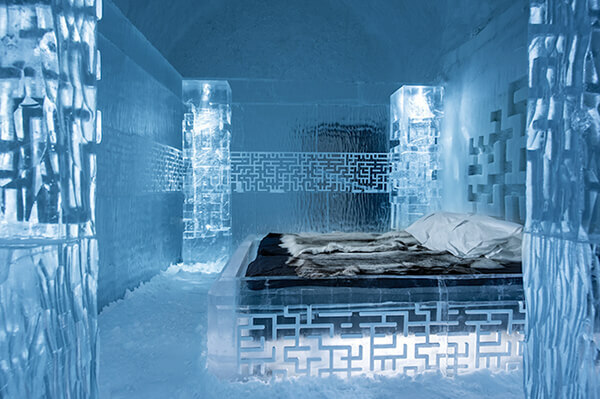 Located 125 miles north of the Arctic Circle, Sweden’s icehotel is one of the coolest hotels in the world. However, due to the weather condition, in years past, the structure melted during the summer months. 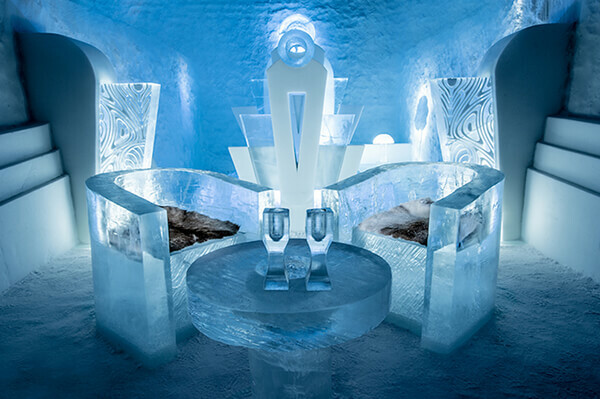 To enable guests can enjoy this unique experience 365 days a year, a new cooling technology has been implemented to make this happen. Art Suite – You Are My Type – designed by John Bark & Charli Kasselback. 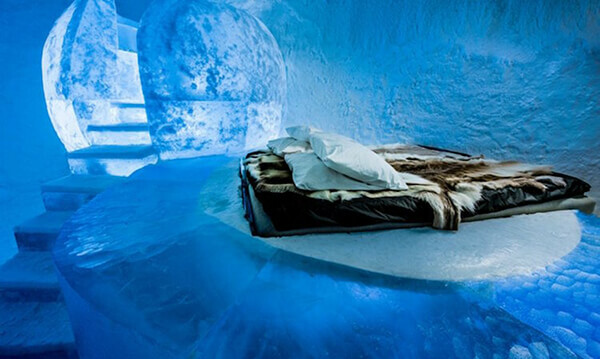 Part of the hotel will still melt after the spring season, but the new permanent section will remain intact. 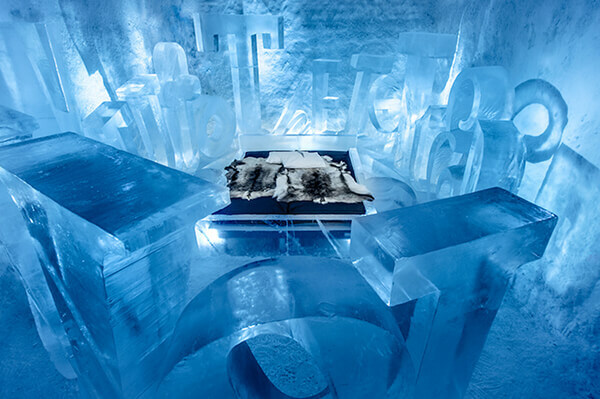 If you concern about energy waste during summar time to keep the ice and snow away from melting, designer has tried their best to minimize its enviroment footprint. 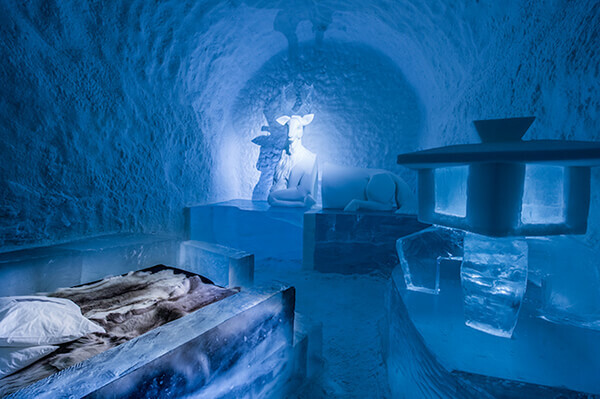 Accoridng to the introduction, ICEHOTEL 365 is built on the site of a former refrigeration plant. Solar panels that take advantage of the near constant daylight from May to July, as well as a green roof, keep the interior temperatures as low as 23 degrees Fahrenheit. 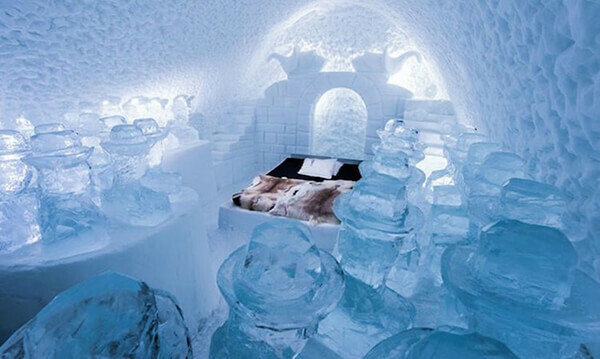 ICEHOTEL 365 also includes saunas, a cocktail room, and warm rooms for those in need of an escape from the cold. 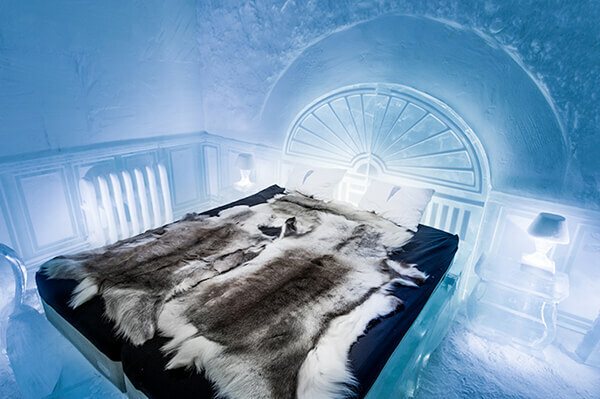 If you choose Deluxe Suites, you can even have a private heated relaxation area, sauna, and en suite bathroom. 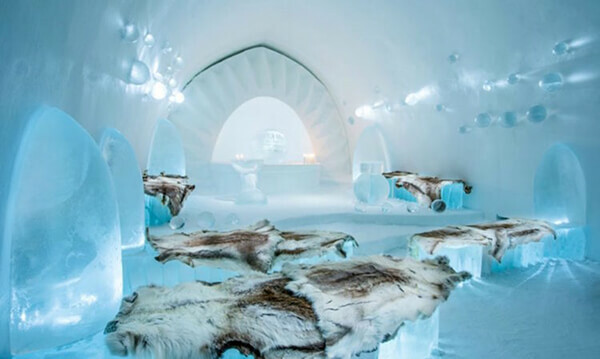 Last but not least, the ice beds throughout the hotel are fitted with thick mattresses, as well as reindeer hides and thermal sleeping bags to keep you warm and toasty at night. Deluxe Suite – The Victorian Apartment – designed by Luca Roncoroni. 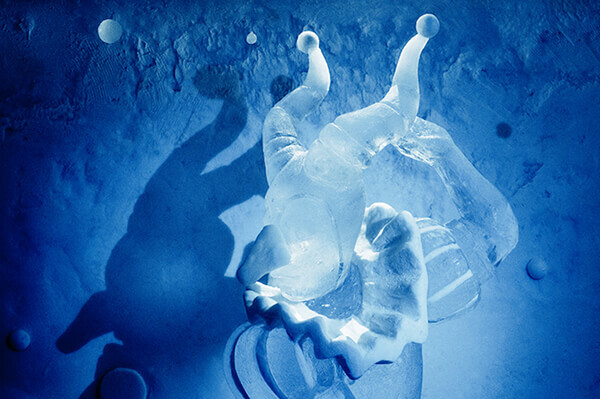 Art Suite – Dancers in the Dark – designed by Tjasa Gusfors & Patrick Dallard. Deluxe Suite – Don’t Get Lost – designed by Tommy Alatalo. Deluxe Suite – Once Upon A Time – designed by Luc Voisin & Mathieu Brison. 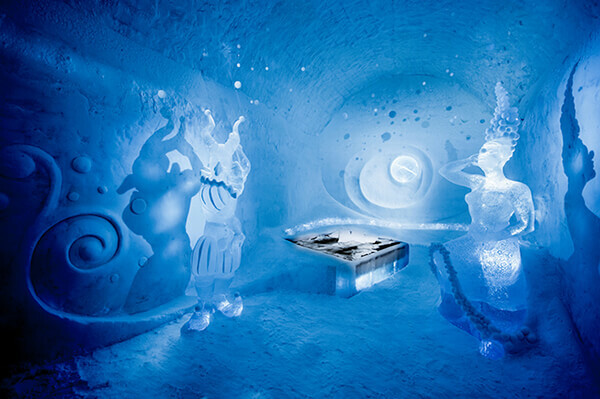 Art Suite – Momo’s – designed by Lotta Lampa & Julia Gamborg Nielsen. Deluxe Suite – Wishful Thinking – designed by Marjolein Vonk & Maurizio Perron. 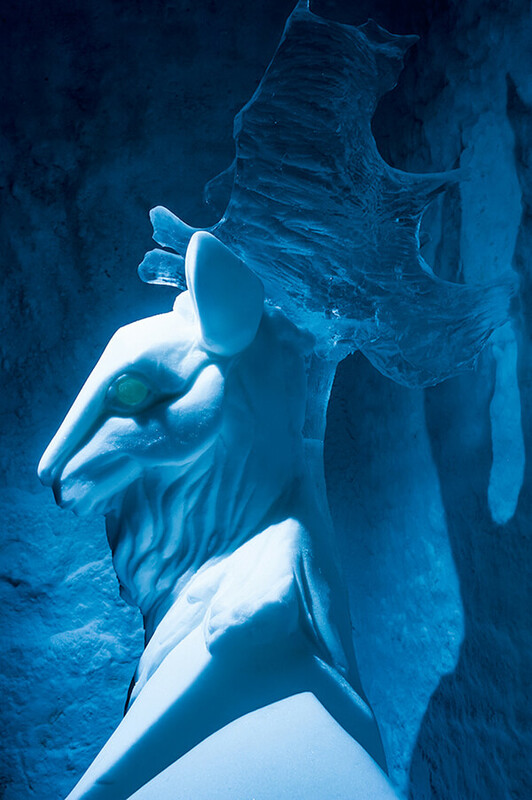 Art Suite – Oh Deer – designed by Ulrika Tallving & Carl Wellander. 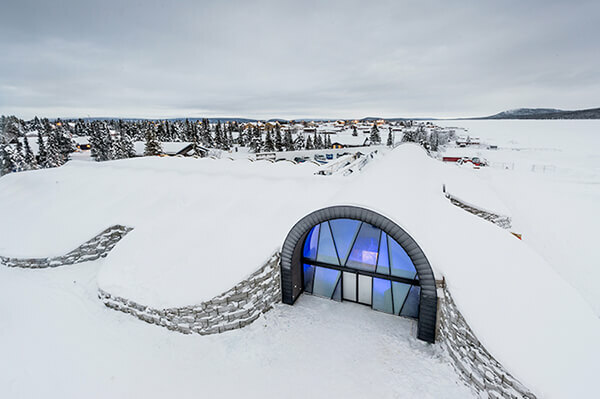 Ice Church, Connect – designed by Edith Maria Van der Wetering and Wilfred Stijger.